Made Dust a lot more manageable ... on all tracks. 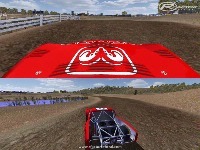 added the short course - AI awesome = rolling starts possible. 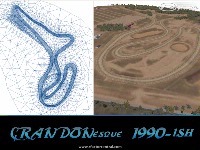 When I first started making tracks back in the days of S.O.D.A off-road Racing (Sierra/Papyrus) with the included 'track editor', back in 1997, I must have made 15 versions of this track in attempts to get it as close as possible with that prehistoric editor. 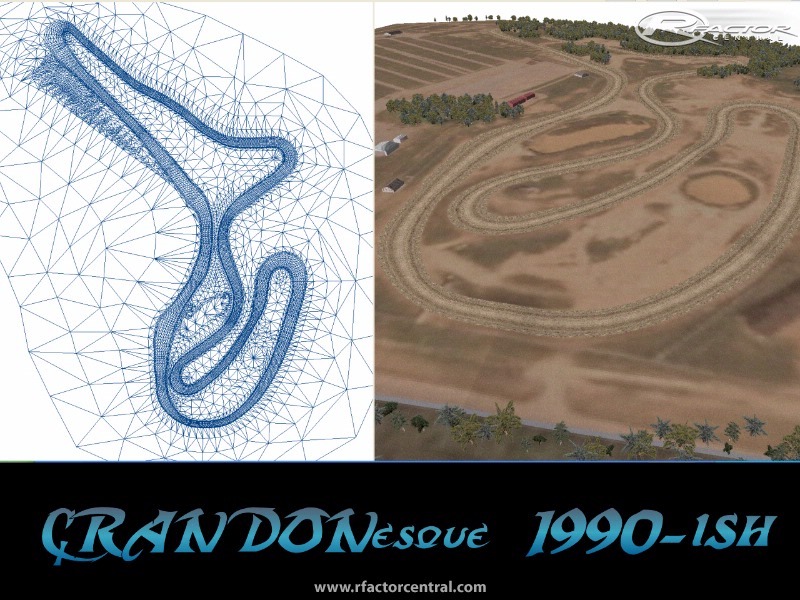 Crandon has went through a lot of changes, and lost some of its luster from the early days. 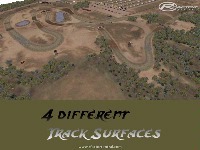 Basically - removing the TEETH from the toughest track in the world of Off-Road Racing. The original 1.75 mile layout was reduced to 1.5 miles (1999?) and to it's current 1.25 mile configuration in 2002. This also brought on toning down some of the jumps and increasing the banking, and adding saftey barriers to help keep from finding yourself in "the Pond". 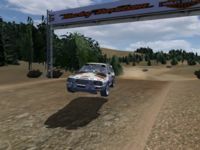 I will take some liberties and attempt to restore some of the lore of the track, to the days of Jack Flannery wins when SODA (Short-course Off-road Drivers Association) and CORR (Championship Off Road Racing) reined supreme. I will not proclaim it to be 100% accurate for the time period as not much reference material is available. I will be relying on my old memories and creativeness to make it live up to its old reputation. Note: 2 versons of track. SPECIAL NOTE: FLAG RULES MUST BE OFF! (or positions 7-11 and other spots unfortunatley get DQ'ed on start) I know the fix but am not prepared to dive into that mount of work to fix ATM. 30 Grid Max but not reccomended. 4 different types of dust and water spray when you take a dip. There are currently no setups for CRANDONesque. Add a Setup. 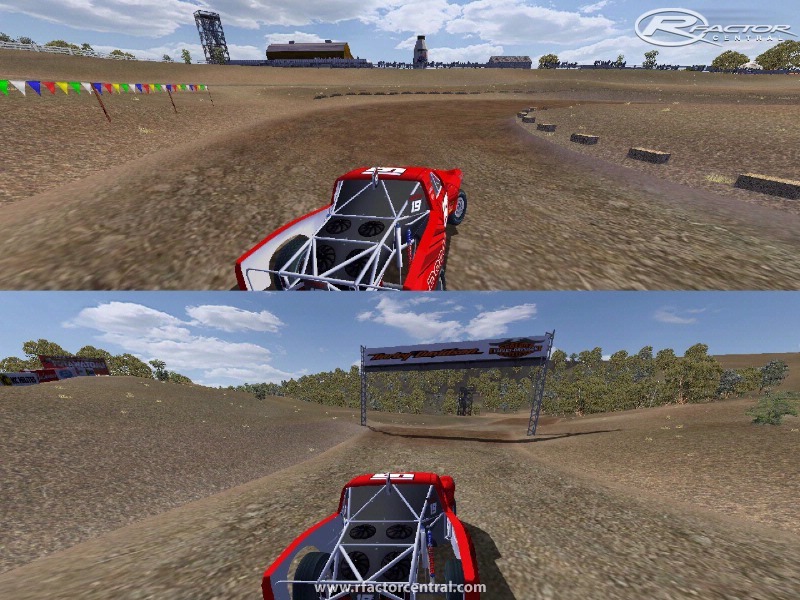 V3 updates, I finished off the roadside stuff, added a heap of new bits n pieces, retextured alot of land, adjusted the ai for both layouts stopping the ai from ctutting corners, moved the pit area and start line to a much better spot. download issue solved, thanks to Slobbeman! The zippyshare download link doesn't work for me, is there any alternative? Friends there was a delay in updating the 1 click links, if you downloaded the track recently, please double check you have version 1.11. Sorry about that. Get closer to the right(inside) of the turn. Set your front suspension up to give you more turning bite. Not a soft set, but yet not to hard. There is a fine line there and this track makes you find it to get fast laptimes every lap without cheating. But if you were to flip over a railing in real life, would you still continue to race? I love this track. 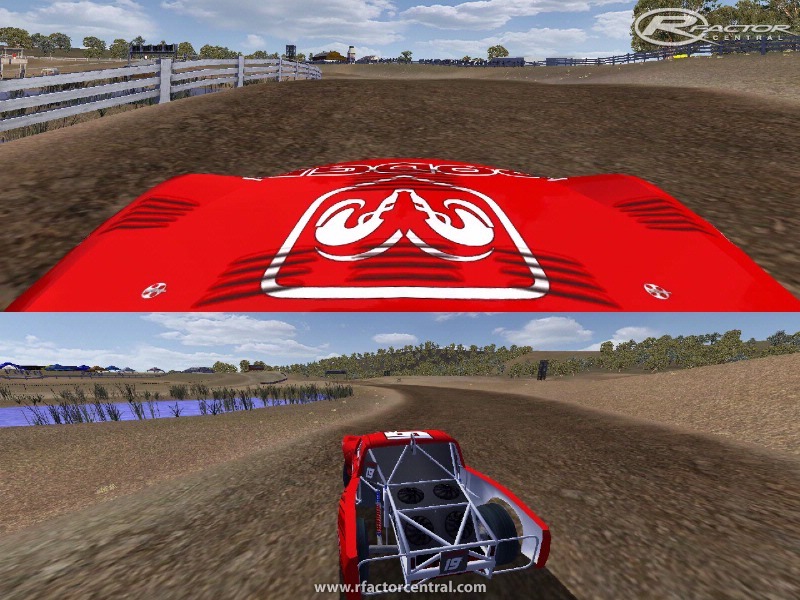 I too love dirt tracks, being an ex-dirt mod racer. (back in the dark ages). I'm still trying to sort out my setups though. I've tried the track with the ORR trucks but the WCORR trucks (Pro 4x4) work better for me. 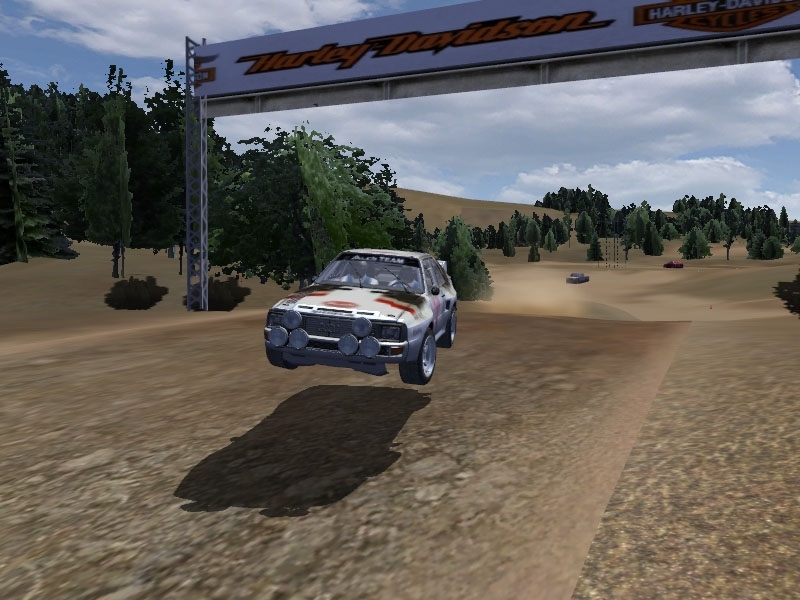 (I have so far only raced offline against the AI). Now that I have found a balance between my setup and the AI strength, I'm having a lot of fun with this layout. I love the way some turns have that banking, which makes it very forgiving. The dust and dirt is great as well. The only problem I've had is outside the last turn, which is a hard right. Several times I've rolled my truck over the guard rail simply by throwing the truck into the turn too hard (lotsa side-bite). But if you go over that railing, you're penalized for cutting the track immediately. Not sure if that's fixable but it's only a minor thing.